Google added one of the missing features from the new Google Maps for the desktop and now you can enter multiple destinations when searching for directions. Just click the "+" button to add more destinations". "Whether you're running weekend errands or planning a cross-country tour, you can plot multiple destinations for your trip with ease – now available for driving, walking and biking directions. Once you've chosen a starting point, click '+' and add stops to your route by typing in the search box or clicking on the map," informs Google. You can also reorder the destinations using drag and drop: just drag the icon next to the location you want to move. 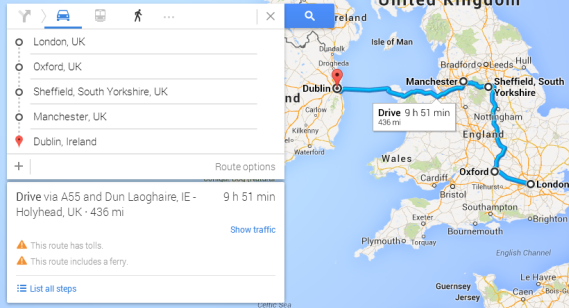 Google Maps now shows data from your Gmail account. 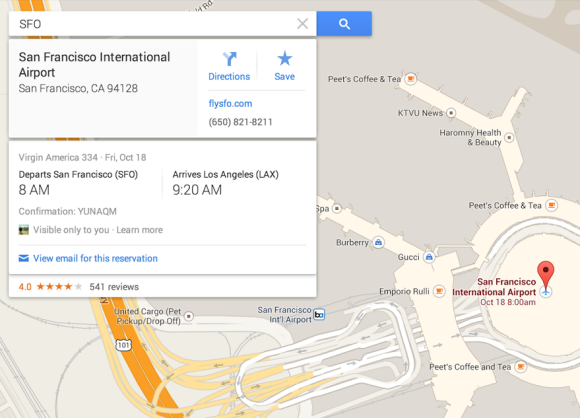 "Find your flight, hotel, and restaurant reservations faster right in Maps. Just search for your departing airport or dining destination, and we'll instantly show your upcoming plans." This only works in the US, just like the similar Google Search feature. 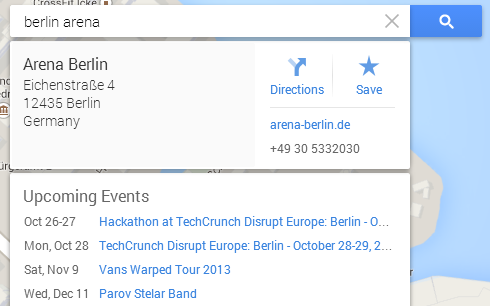 There's also an events card that's displayed if you search for places like Radio City, O2 Arena or Arena Berlin and click "upcoming events". The same data is used in the Knowledge Graph card from Google Search. Multi-point directions was one of the most important missing features from the new Google Maps. What other features from the classic Google Maps would you like to see in the new Google Maps? Anyhow; if anyone got waiting list ticket for the flight he booked then he/she can check flight pnr status of their booked ticket by following the link. I hope this will prove beneficial for the people who used to travel frequently via flight.